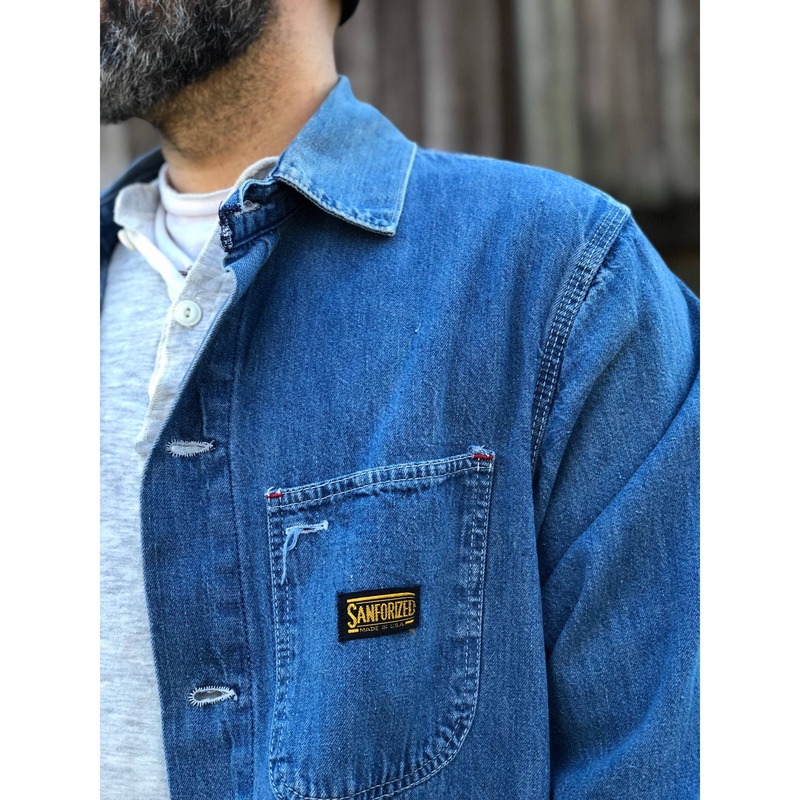 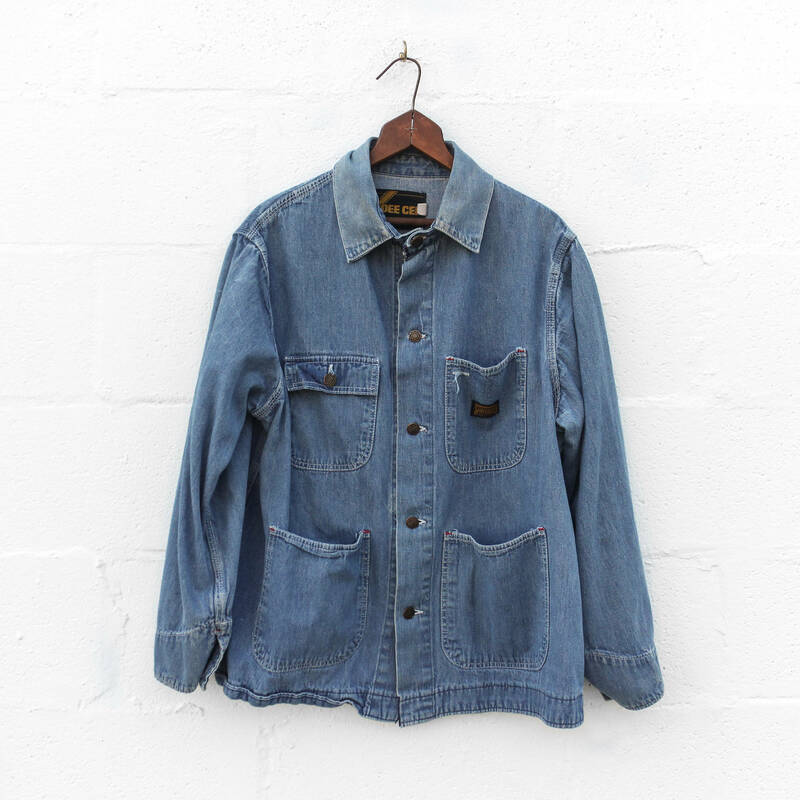 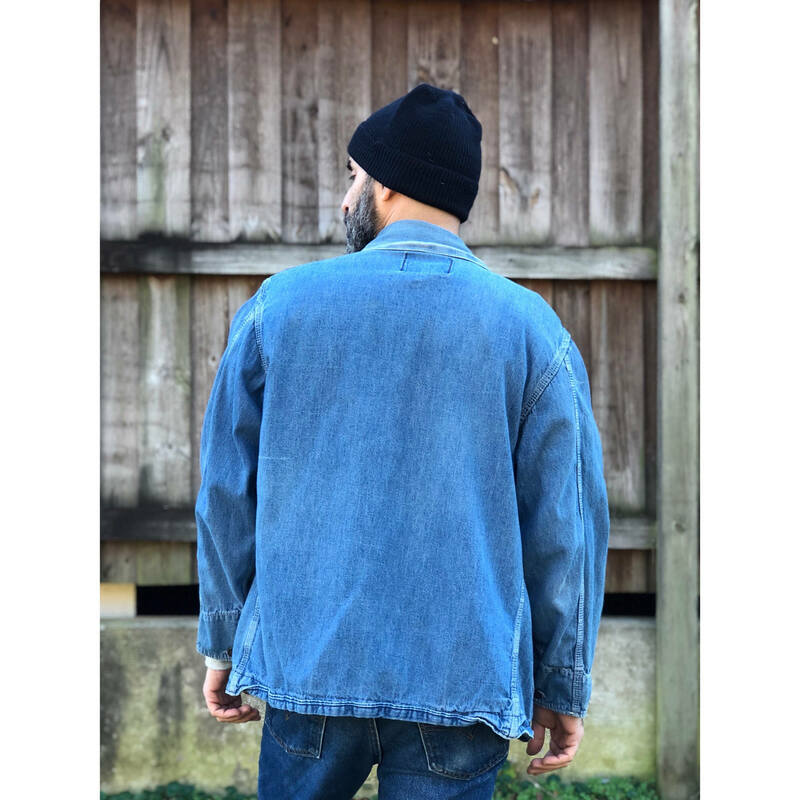 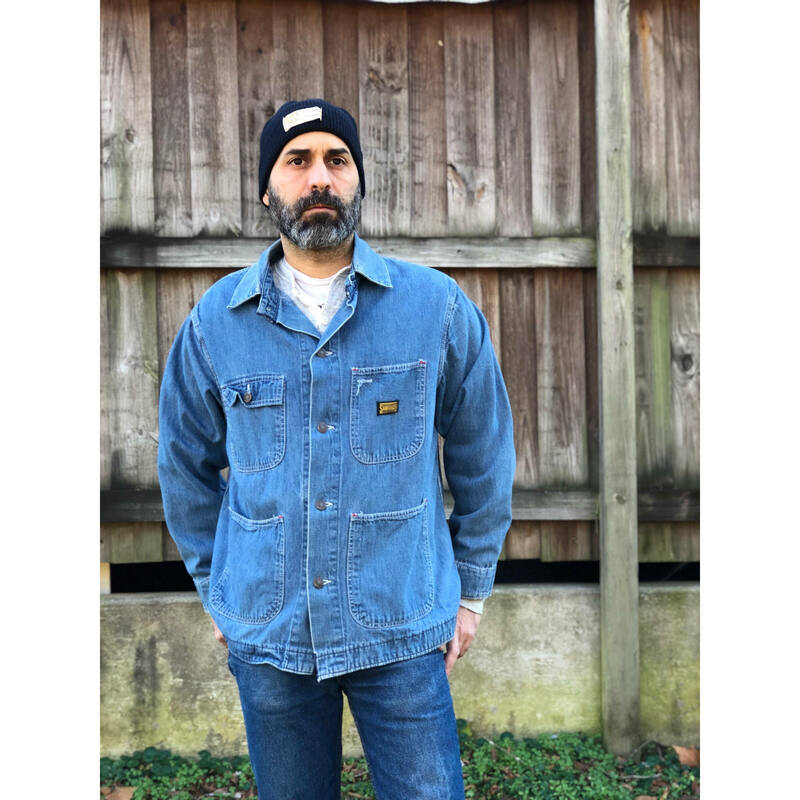 This beautifully faded denim chore coat was manufactured by the Washington Dee Cee company. 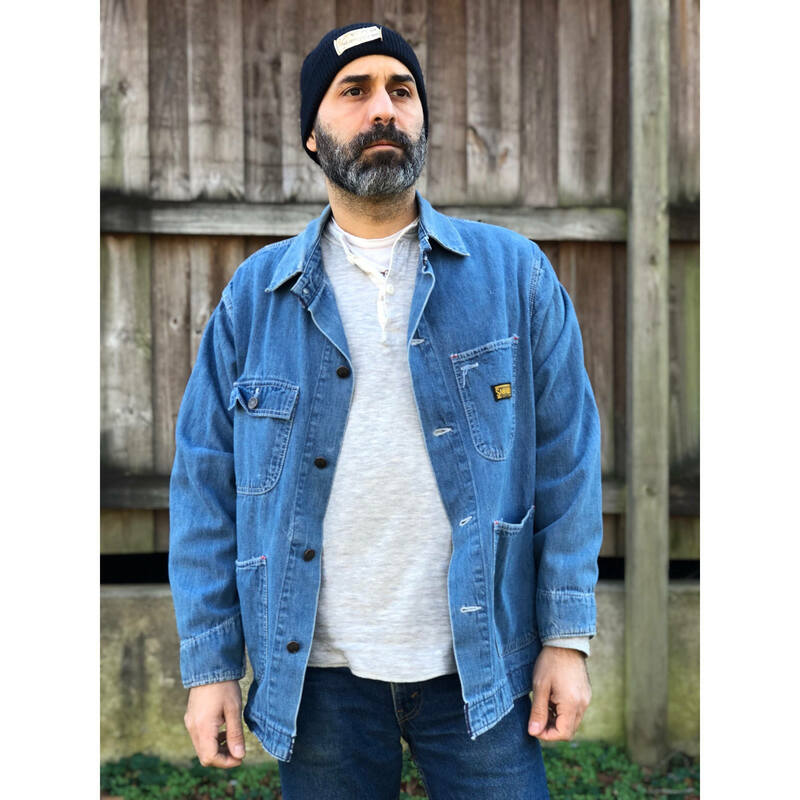 The coat is sanforized and was made in the USA during the 1970’s. 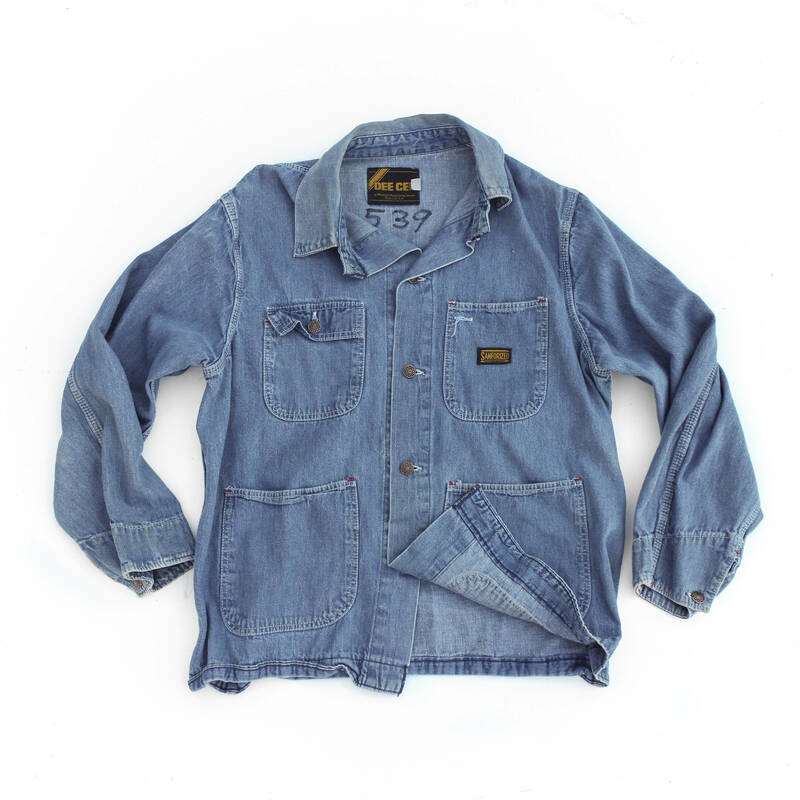 The chore coat has a total of four front pockets (right breast pocket buttons closed). 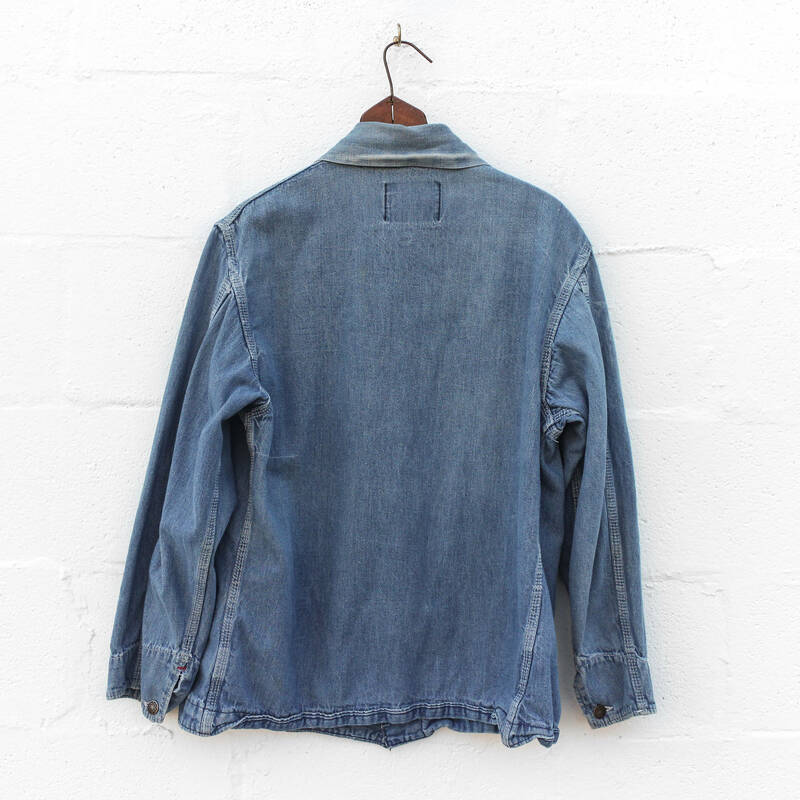 The coat is in good condition with no visible holes. 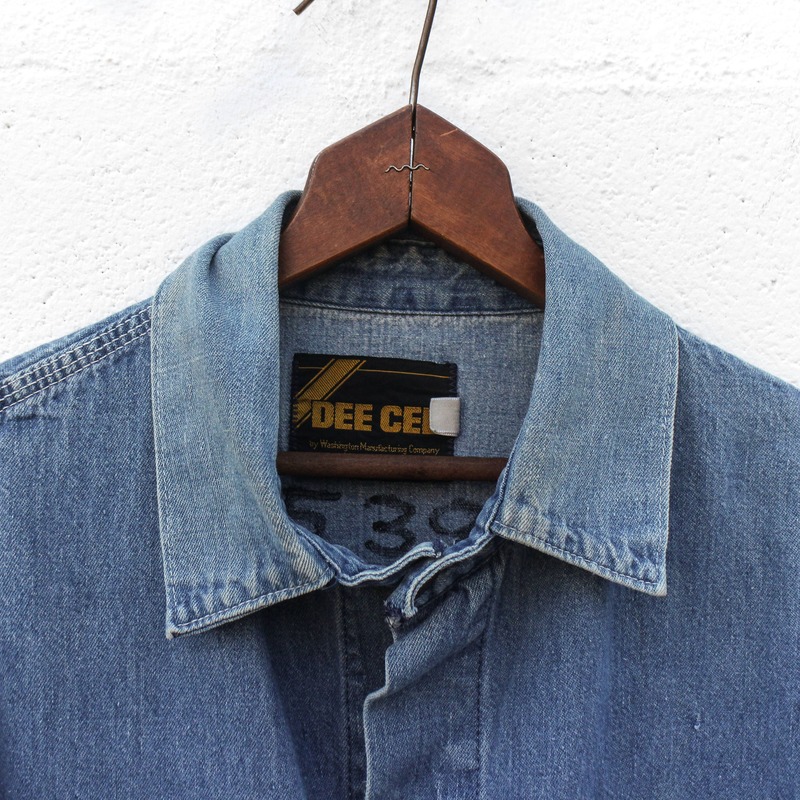 The denim is faded and there is a number written with marker on the inside of the coat. 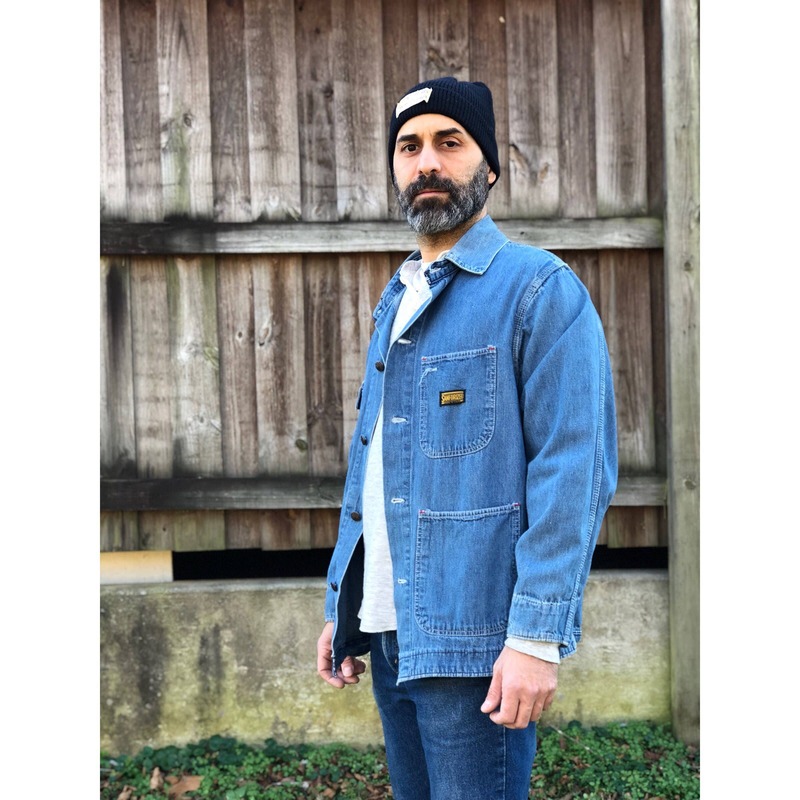 The color of the denim is most accurately represented by the pictures without our model.